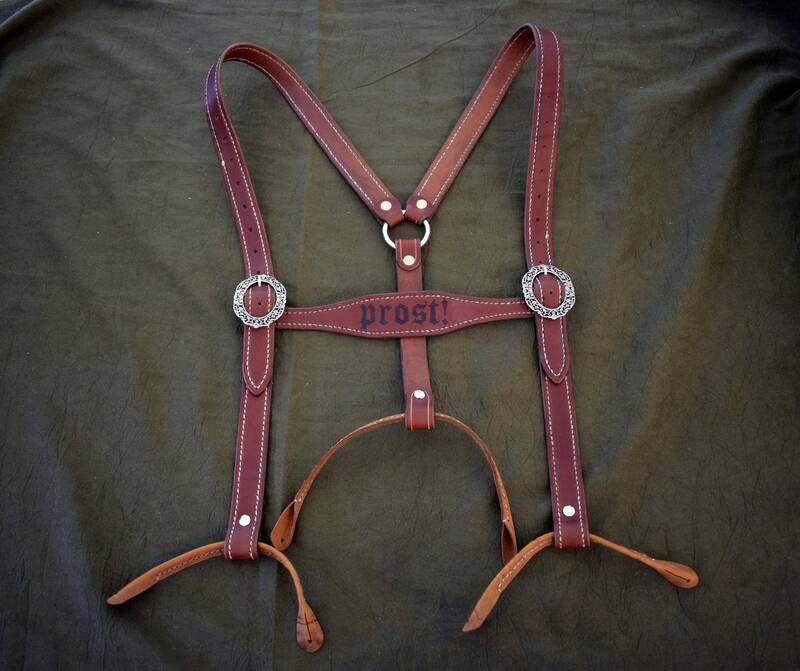 These are a handmade pair of lederhosen suspenders. 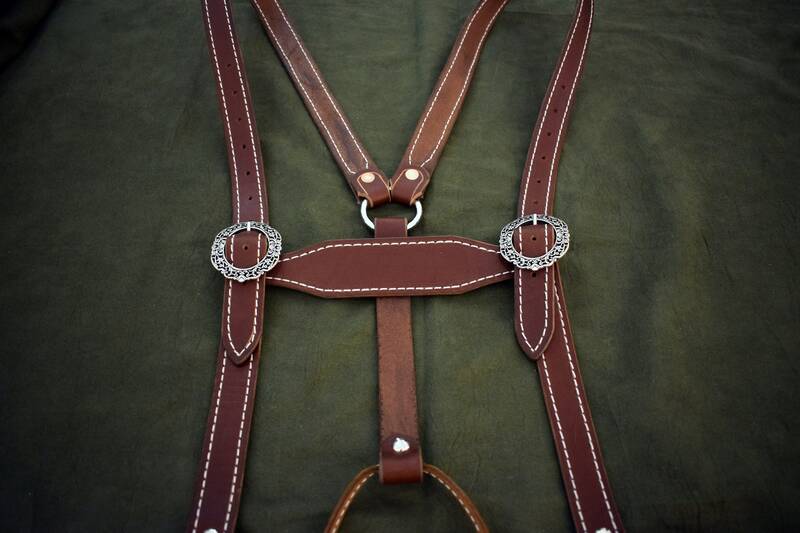 Each pair is made out of 8-10 ounce Latigo cowhide and features accent stitching in your choice of color. 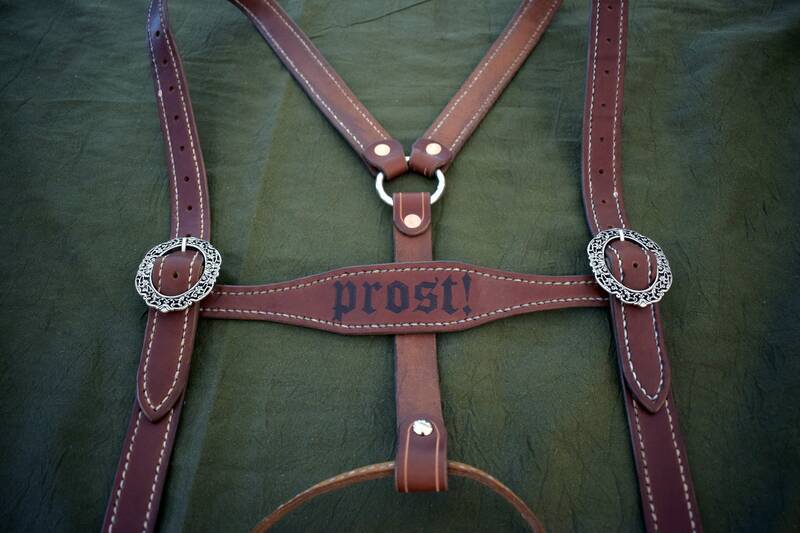 The suspenders feature decorative floral buckles, a 10" wide crosspiece at the chest. If interested the crosspiece can be customized, feel free to message me for details. 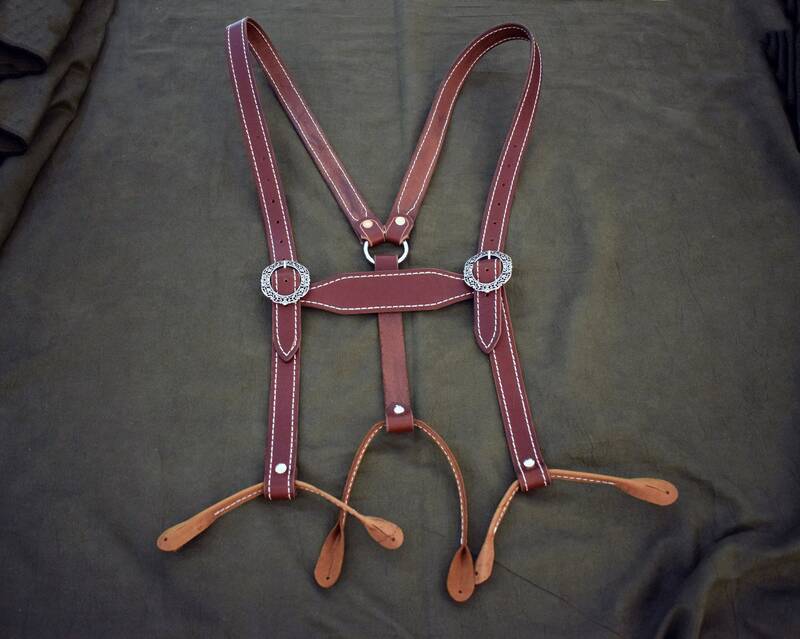 The suspenders are attached via either a traditional single buttons in the front with double buttons in the back, or the standard double button loops in the front and back. Each pair is made to comfortable fit someone who is 5'8" - 6'2" tall, if you would like the size adjusted, or for custom sizing, feel free to message me.